Skype pioneered and catapulted instant messaging and video calling to the mainstream. And nowadays, there are a lot of people using the app on a daily basis. These people may very well be your kids or your employees, or even you yourself. But with so many things happening on the internet, you might want to listen in on the conversation that your kids or your employees are having. Whether you’re using the Skype app network for personal or business conversations, you have the ability to have a mobile tracker in place. Today, I’ll be talking about the various methods that you can use to accomplish this. It’s very well known that apps like Skype have end-to-end encryption, so you might be wondering how you can track conversations in it. Various developers have actually created workarounds and this restriction may just be a minor inconvenience for you. The apps work wonderfully and you won’t experience any hiccups while you’re using them. However, since these apps are able to work behind the scenes without too much intervention, there is a price tag attached to them. And if you’re looking for those prices, then read on. But if you’re on the fence whether you want to buy these services or not, know this: they are mostly monthly subscriptions. However, to get the most bang for your buck, there are yearly subscriptions. Is it ethical to view private Messages? The question now is: is it legal or is it morally correct to view private conversations? Talking about legalities, if you’ll be reading conversations for an adult, in most countries it is illegal. However, if you’ll be tracking a minor’s Skype activity, some countries, if not all, allow that parental control. If you’re going to be tracking your kids, then it’s no big problem. The issue comes when you’re tracking business partner or employee activity in their Skype apps. All of your problems when it comes to privacy will be easily resolved if you inform your employees beforehand. It saves you the time and the headaches that you will get if they are not informed. You can simply add it to a contract or even tell that information to them during the interview to get the job. Most aspiring employees will comply. And if you ask me, it will most likely increase your employees’ productivity. Having a watchful eye looking into their messages makes sure that they only use Skype for work-related efforts and not just chatting up their friends. But I’ve only answered the legality aspect of viewing private messages. If we talk about ethics, then nothing changes much. As a parent, you actually should monitor a minor’s activity because, in today’s day and age, strangers are all over the internet, and some with malicious intentions. So ethics-wise, you may do it. But there is a disclaimer for this practice: you should inform your kids that you’re doing it as they get older. For employees, on the other hand, it follows the same concepts as legalities. As long as they’re informed of what’s happening, then you can deploy the tracking app. Well, first and foremost is that you can see what’s happening at home and in the workplace. Especially if the primary communicator that you use is Skype, then you have complete control of what’s being talked about. Is your kid acting strange? Then having these spy apps might explain some things. Is your employee being less productive than usual? These apps might give you the answer in a heartbeat. For companies, it might even help protect intellectual property. 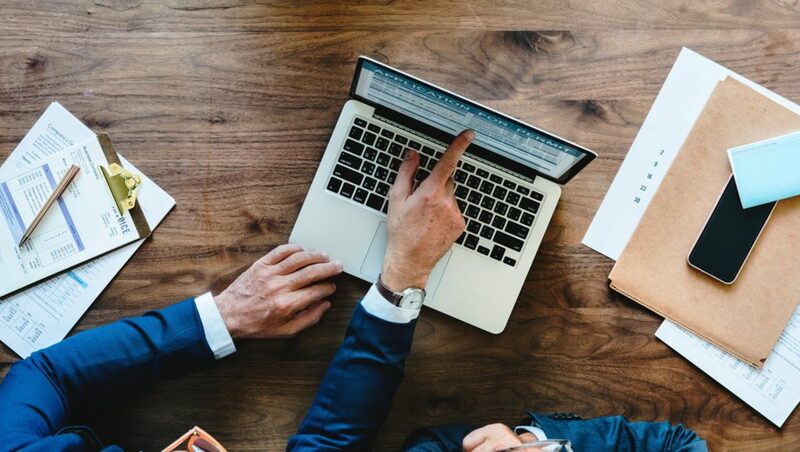 You can even prevent leaks from happening and prevent any sort of hack or leakage event that might cost you a lot of money to mitigate or resolve. Most of these apps share the same features. You can have an organized dashboard where you can see previous and ongoing conversations. You can change the way everything is set up and even put certain people into groups. Essentially, you get a complete overview of how Skype is being used at home and at work. It’s definitely an exhilarating feeling that you’re in control, but you might encounter some cons. Being able to see all the conversations, your employees might assume that you know the progress of a project. And for your kids, they might feel shackled and it might hinder their development. In the end, it’s all about being transparent about what you’re doing this for. Once all that is said and done, you’ve got nothing to lose and plenty to reap. What are the best Skype trackers? Now that we’ve gotten the legalities and ethics talks out of the way, let’s start with the list. As I’ve said earlier, the best Skype spy apps have a hefty price tag on them. However, don’t let that dishearten you with having control over your kids’ or employees’ conversations. If you look beyond the price tag, you will have a powerful tool at your disposal. There are plenty of Skype trackers on the internet but these three really stand out and give you the most features for your money. Let’s get onto that list! At number one in the list is none other than Xnspy. This app is one of the most resounding apps across the internet. And the app even goes on to say that they are the most non-intrusive app for tracking messages. Whether that’s true or not is up to you. I think that the best part about this app is its compatible across all major operating systems. So you can use it on your Android phone then move to your iPhone and to a Windows PC. You’ve got a lot of flexibility available here. 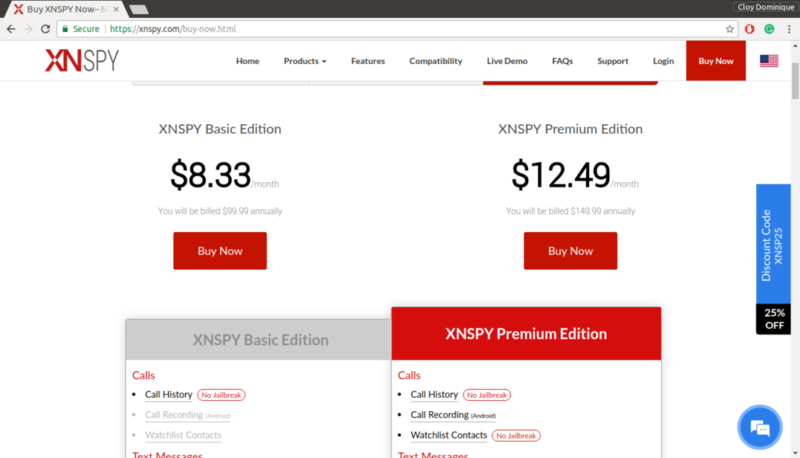 There are two price options for Xnspy: Basic and Premium. The prices for each is $8.33/mo ($99.99/year) and $12.49/mo ($149.99/year), respectively. Since we are going to be tracking Skype, Premium would have the feature that we need. The price point might seem daunting at first, but it’s money well-spent. Go to Xnspy.com for more information. Cell phone monitoring just got easier. That’s one of the taglines that Spyzie uses, and they’re definitely doing something right. Not only do you have better control of everything that happens within the Skype app, you can do it almost hassle-free. With this app, you protect your intellectual property and prevent leaks from happening within your own company. At the same time, you can protect your kids and understand what’s happening in their lives. Spyzie actually is on the affordable side of things if you’re going for the ultimate version. 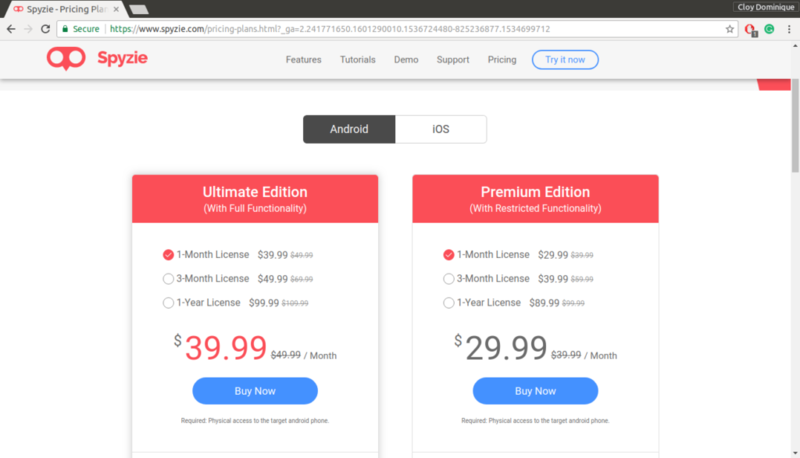 So there are two subscription types: Ultimate and Premium. The prices are $39.99/mo ($99.99/year) and $29.99/mo ($89.99/year), respectively. As you can see from these price points, the yearly subscription is the way to get the most out of your money. I also have to add that the ultimate version is the subscription that allows Skype track. But the price is not half bad if you want to ensure your kids’ safety or your company’s privacy. Try out Spyzie at spyzie.com. A burgeoning brand that might take the world by storm, Tipsy has everything you’ll need for Skype monitoring and spying. You might be doubtful because of its name, but don’t let that fool you. You’ve got the complete package and it’s honestly the cheapest option here in the list. You have a dashboard option and you’ll be able to track and trace conversations without too many hassles. Definitely, something that you can employ in your business or home. If the $90+ price tag of the other options will put a whole through your wallet, then this is the way to go. And just because it’s cheap, doesn’t mean that you get compromises in quality. One thing to remember though is that there are no monthly pricing options. All of the subscriptions are on a yearly basis. There are three pricing options for Tipsy. There is are Basic, Standard, and Premium options. The prices for the options are $30, $45, and $70 respectively. To get the complete suite of features, you would have to go for the premium option. However, the premium price is almost 50% of the yearly subscription of other tools! Tipsy is definitely worth a try. Go to tipsy.net to try it out. We’ve seen here the top recommended options to monitor Skype. There are plenty of reasons to spy on your kids and employees. But the thing that you have to remember is that you have to be transparent. All parents and employers would look at conversations with good intentions but some might see differently. And if both sides agree with the use of these tracking tools, then go on ahead and use them! Definitely, it would feel great to be in control. A yearly subscription would go a long way to improve your relationship with your kids and the productivity of your employees!